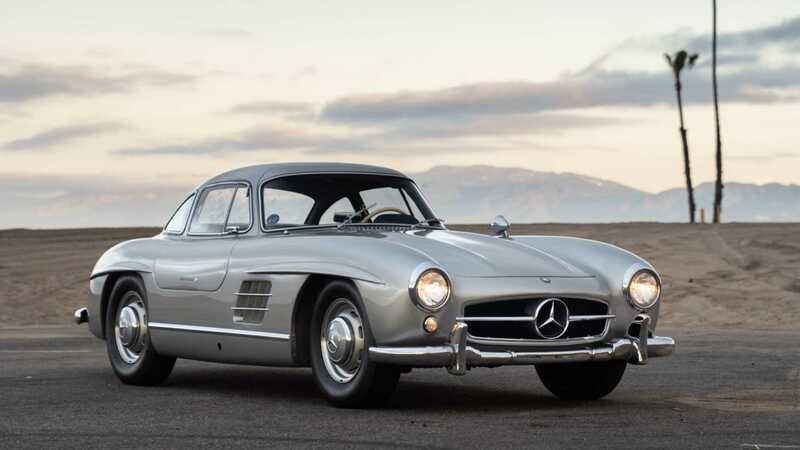 Maroon 5's frontman Adam Levine is selling his numbers-matching 1955 Mercedes-Benz 300 SL Gullwing this Friday, March 29 at RM Sotheby's in Fort Lauderdale, Florida. The auctioneers expect this car will sell for anywhere between $1 and 1.4M dollars. Mercedes-Benz produced the 300 SL (chassis code W198) from 1954 to 1963. 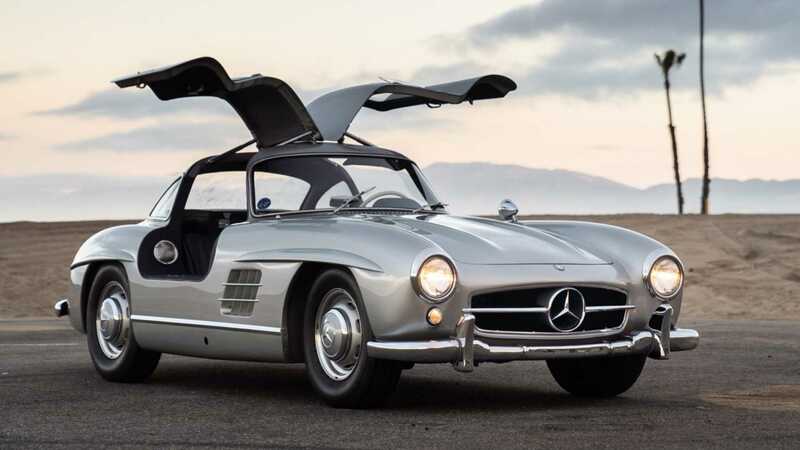 During the nine-year production run, Mercedes-Benz assembled 1400 coupes with gullwing doors from 1954 to 1957 and 1858 roadsters from 1957 to 1963. A total of 3258 300 SL coupes and roadsters were built in Stuttgart, Germany. 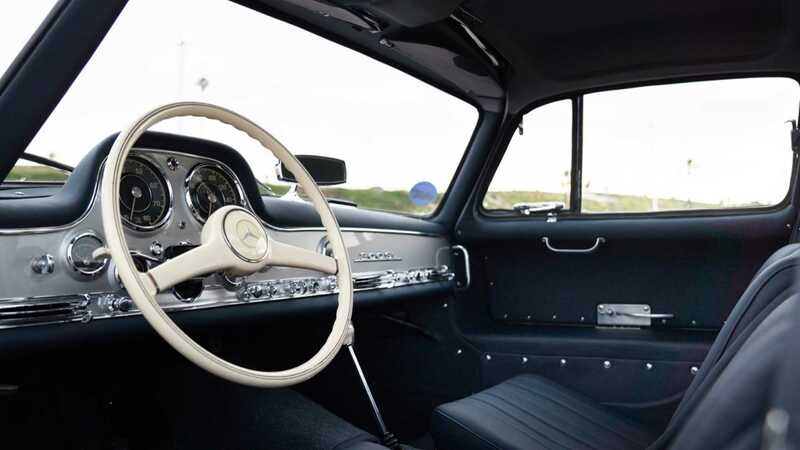 The 300 SL was powered by a 183 cubic-inch 3.0-liter inline-six which produced a respectable 212-horsepower at 5800 rpm 203 pound-feet of torque at 4600 rpm. Power from the engine was sent to the rear wheels via a four-speed manual transmission. The SL in German stands for "Super-Leicht" or "Super-Light" in English. Instead of debuting the 300 SL in Europe, Mercedes-Benz unveiled the car at the 1954 International Motor Sports Show in New York. 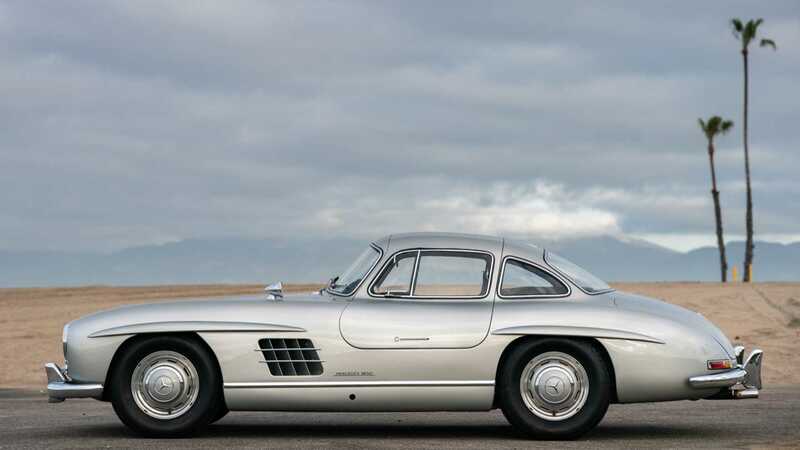 However, this particular 1955 Mercedes-Benz 300 SL Gullwing being auctioned this Friday, March 29 at RM Sotheby's has an interesting story of its own. This car was originally built as a special order and it rolled off the production line in Stuttgart on May 11, 1955. The car was painted in Ivory and had Blue leather interior. The was later shipped to New York City on May 17, 1955. 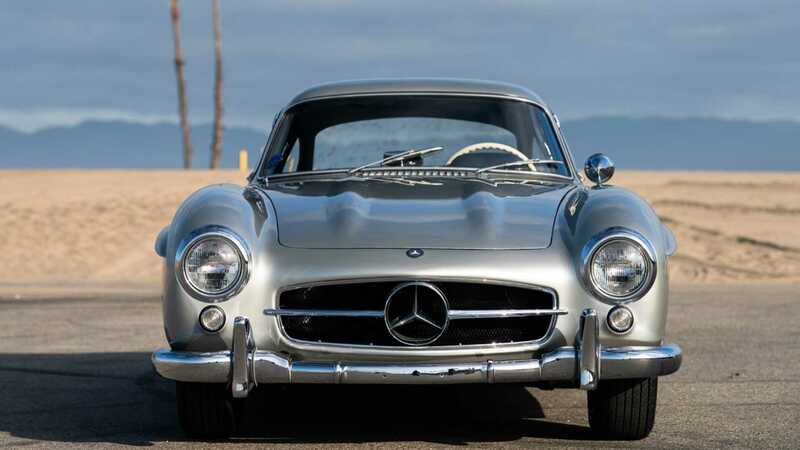 Since then, according to the car's listing in the official Gullwing Registry, it has lived much of its life in California. The listing also states that in the late 1990s, the car's exterior paint was changed from Ivory to Silver and its blue leather interior was reupholstered in black leather. But over the last five years, this 1955 Mercedes-Benz 300 SL Gullwing has been owned by Adam Levine, the lead singer of the band Maroon 5. Under his ownership, the black leather interior was redone in blue leather, like it originally was. Unfortunately or fortunately, depending on how you look at it, this 300 SL is still painted in Silver rather than Ivory like it originally was. 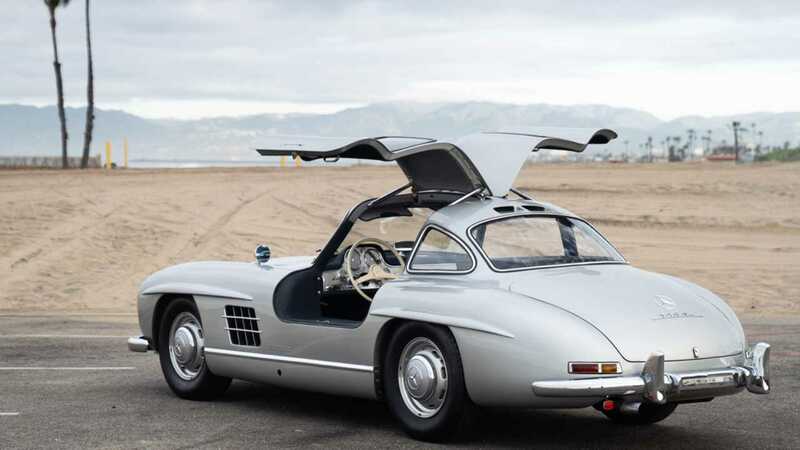 This 1955 Mercedes-Benz 300 SL Gullwing is a numbers-matching example and it is accompanied by a set of fitted luggage, a tool roll, jack, and spare tire. If you are interested in seeing and purchasing this European classic, you can do so this weekend at RM Sotheby's in Fort Lauderdale, Florida where this 1955 Mercedes-Benz 300 SL Gullwing is expected to sell for anywhere between $1 and 1.4M dollars.